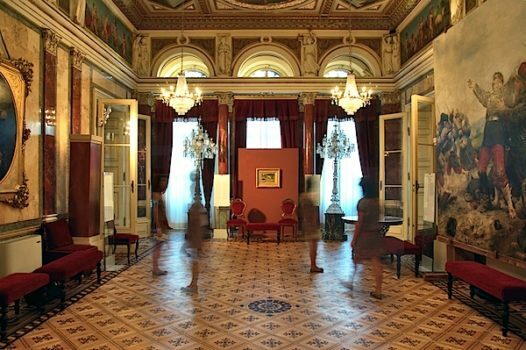 For the rooms of the XIX century’s palace Revoltella have been created two sound installations based on the acoustic memories of the building. For the ballroom the sound installation Geisttanz in which the architecture of the hall hasn’t been changed visually, but the place undergoes an acoustic transformation by virtue of the electronically processed sounds coming from various points on the dancefloor. Invisible presences and a ghost dance which evoke, as in a dream, the dances held in the building, as if the floor itself had almost retained the memory of the dance steps once performed on it. 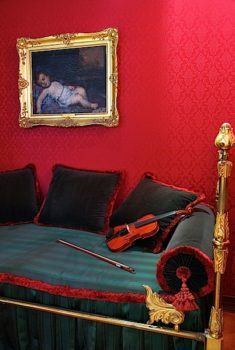 For the private room of the baron a violin lies on the bed as if was left during a practice session evoking the memories of the music that once filled the house. 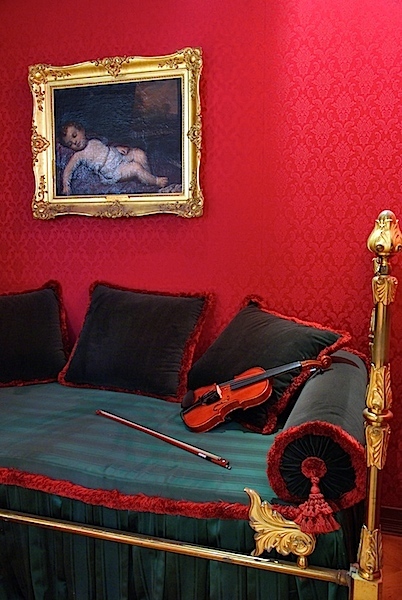 A composition for violin realized for this occasion has been recorded (with the collaboration of Tiziana Bertoncini on violin) and played back using a transducer placed on the body of the instrument so that it resonates the music.